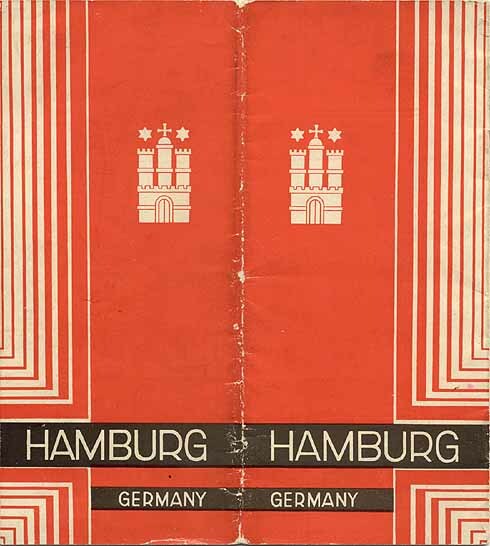 Travel brochure for Hamburg, Germany, circa 1931. Published by the Fremdenverkehrsverein Hamburg. Designed by "Th. P. et Bauer," printed by "H-O-Persiehl - Hamburg."